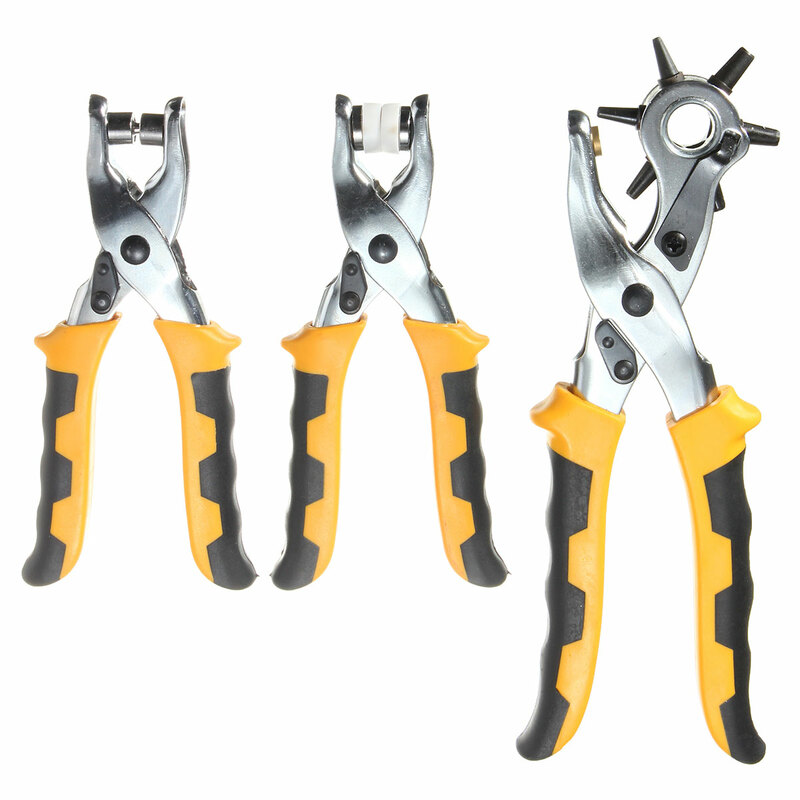 THREE TOOLS OF ONE SET- hole punch, eyelet plier, press stud plier. The Heavy duty set features molded rubber handles, rotating head on the leather punch these tools are simple to use with minimum effort. Product is suitable for rivets bag leather paper card punching hole.